Welcome to ‘France et Moi’ where this week as part of the Brook Cottage Books virtual tour for her novel A Château for Sale, I am talking to author Carrie Parker about what France means to her. You can read my review of A Château for Sale here. Born in Yorkshire, Carrie graduated from the University of London with a degree in chemistry and no idea of a career. An extended road trip across Europe and as far east as Iran convinced her that the career had to involve travelling the world. After a brief spell as a sub editor in London, she was off on her travels again, this time to New Zealand. Returning to the UK a few years later, via south-east Asia, she began a career in overseas development which lasted for over 20 years and took her all over the world. On the first of many working trips to India she met her husband and in the late 1990s they moved to south west France. After returning to the UK they settled in East Sussex, for several years splitting their time between East Sussex and Crete. An avid reader from childhood, writing has always been an important part of her work. Whilst in Crete she started to write fiction. Her first novel 'A Château for Sale' was published in early 2017. Her second novel is set in New Zealand and Crete and she is aiming to publish it early in 2018. Carrie: To me what makes France unique is no one thing but the whole package: the beautiful countryside; the outdoor markets, particularly the wonderful fruit and veg; the charming villages and small towns; the cafés, all with their terrasse. Drive through any village and you'll see (and smell) the boulangerie and almost always see a couple of gentlemen of a certain age (often wearing blue overalls and berets!) in animated conversation, gesticulating enthusiastically, baguette under one arm…..I could go on! 2) What is your favourite memory of a trip to France? Carrie: My best memory of a trip to France is driving out of Caen at 5am on our first house-hunting trip. We'd come over on the ferry the previous evening, arriving quite late at night to stay in a hotel to get some rest before the long drive south. But we were just too excited and as soon as it was light we were in the car and on our way. Driving through the silent, sleeping, villages and countryside in the early dawn was pure magic and the feeling of excitement and anticipation of life in France will stay with us both forever. 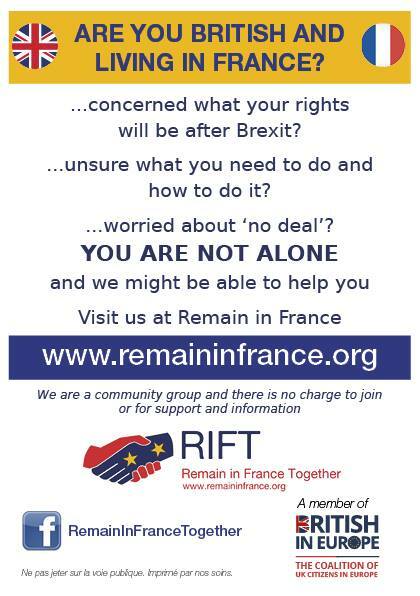 3) You lived in south west France, where your novel A Château For Sale is set, what was the best thing about being immersed in French life and the scariest thing? Carrie: The best thing about being immersed in French life was just that - feeling truly part of rural France, not just a tourist. The scariest thing, certainly in the early months of living there, was receiving a telephone call from a rapid French speaker! 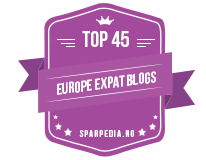 4) Can you tell us how living in France inspired writing A Château For Sale? Carrie: The inspiration for my writing tends to come from places that I know well. I love the French countryside and its beautiful buildings, from the smallest cottages to the most sumptuous of châteaux. The château in 'A Château for Sale' is a real place, as are the villages of Fromac and St Geniès. In common with most authors, I enjoy observing people, and, although all my characters are fictitious, they are inspired by people I met whilst living in France. 5) If money and commitments were no object would you be tempted to buy a château in France to renovate? Where in France would it be? Carrie: Yes, definitely! It would be an old, isolated Cathar castle on a hilltop in the deep south. 6) Every region in France has it’s own culinary specialty, do you have a favourite regional dish? Carrie: As a vegetarian, the savoury regional dishes of the south west were a bit of a challenge! However, I think my favourite dish is the lovely walnut tart - tarte aux noix de Quercy. (Or maybe a glass of the black wine of Cahors!). 7) What is your favourite thing to buy in a Boulangerie/Patisserie? Carrie: Still definitely the classics - pain au chocolat and a baguette or a ficelle. 8) France has many different cheeses, a silly question, but which French cheese are you? A hard and mature Tome, a soft, fresh and lively goat cheese, the creamy and rich Camembert or maybe the salty and serious Roquefort? Carrie: I can agree if you are suggesting my novel is a bit cheesey in parts…..for myself, I'd say Saint Agur….quite soft and smooth but with a subtle bit of sharpness and spice! 9) Imagine you are sitting outside a French café at 10.00am on a sunny morning watching the world go by, what do you order from the waiter? Carrie: I'm a traditionalist. It would be un café: black, strong, and served in a proper white porcelain cup and saucer. 10) I’m a big fan of the French apero habit; can you describe your perfect French apero for us, including the drink, the nibbles, the location and the company? Carrie: Warm summer evening, on the terrasse with the neighbours, cold rosé wine, pain de campagne, caviar d'aubergines, olives, some tiny cornichons, a few slivers of Tomme, Comté……would you like to join us? Yes please, I’m on my way. Thank you for taking the time to answer some questions about France and you. 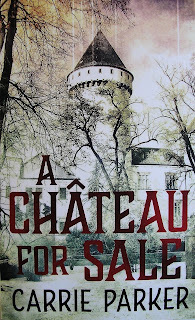 I really enjoyed A Château for Sale (see my review here) and best of luck with your new novel too. You can follow Carrie on her Facebook page here and find her on Goodreads here. 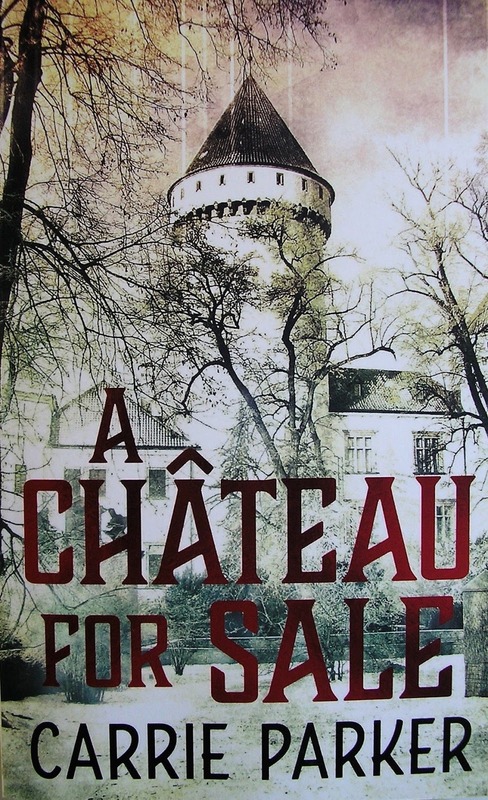 A Château for Sale is available in paperback and ebook format and if you are looking for something a little bit different for your summer reading, this book is for you. Links to Amazon can be found below. To be in with a chance to win a £10 or equivalent Amazon voucher, click on the Rafflecopter link below. Good luck!